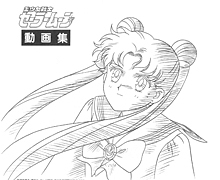 Tuesday, October 21st, 2014 at 12:57 AM	|| Sailor Moon Books, Sailor Moon Doujinshi. By any chance, do you think that you'll scan and post more Madoka Oomori doujinshi in the near future? 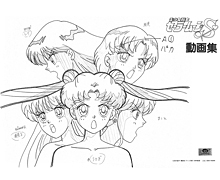 I'm crazy about her doujinshi; her style is so much like Naoko Takeuchi's that I feel like I'm reading extra stories from the manga when I look at her work! Hi there, You’ve done a fantastic job. I’ll certainly digg it and individually recommend to my friends. I’m confident they’ll be benefited from this site. I have been exploring for a bit for any high-quality articles or weblog posts on this sort of space . Exploring in Yahoo I finally stumbled upon this web site. Studying this info So i am glad to exhibit that I’ve a very excellent uncanny feeling I discovered just what I needed. I most surely will make sure to don’t fail to remember this site and provides it a glance regularly. I’m also writing to make you know of the perfect discovery my wife’s child developed viewing the blog. She realized some issues, including what it is like to have an excellent teaching style to get others very easily learn about selected specialized subject matter. You actually exceeded my expectations. I appreciate you for offering the warm and friendly, trusted, educational and in addition fun tips about this topic to Gloria. your condition is a software issue and vice versa.